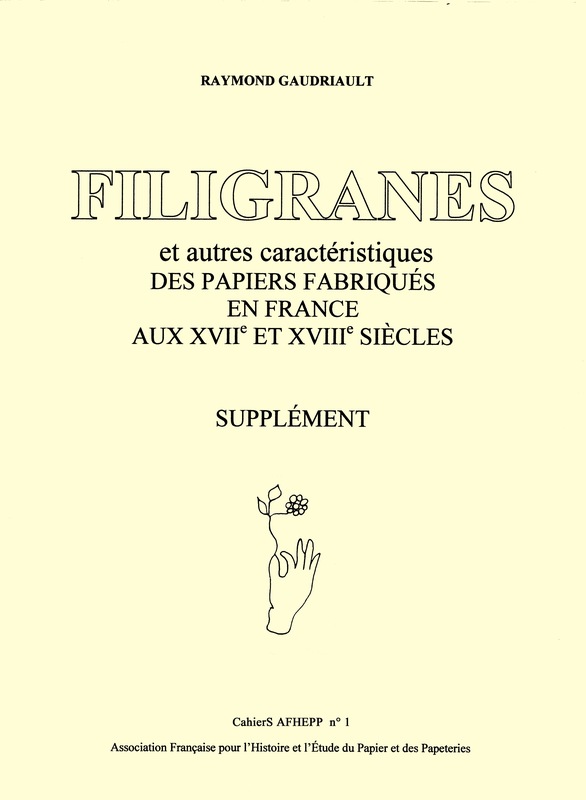 This 88-page publication is an essential ADDITION to Filigranes et autres caractéristiques des papiers fabriqués en France aux XVIIe et XVIIIe siècles. After the original publication, Raymond GAUDRIAULT pursued his research from 1995 to 2003, adding 200 watermarks, 350 names of papermakers and 750 monograms, which we are presenting in the present SUPPLÉMENT. It offers an invaluable source of complementary documentation for researchers and paper historians. 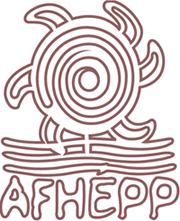 The French Association for the Study and History of Paper and Papermills (AFHEPP) recognized its relevance and proceeded to make this the first issue of its new publication : CahierS.